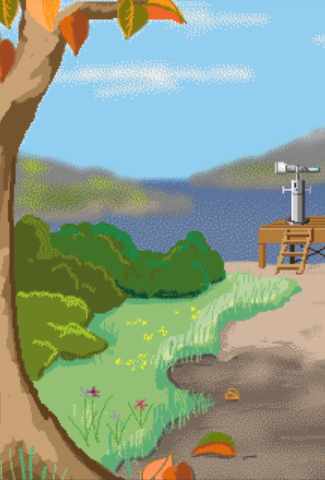 In a past millennium, this Christmas-themed graphical adventure game was available only for Windows computers. Now SSV has been fully recoded for a new generation to run in web browsers and on Android mobile devices. In the game, you take the role of Fizbin the elf as you go on a mission to the Secret Valley. There you must locate and retrieve three magic items belonging to Santa — items that were mysteriously stolen from right under your nose as you slept. It’s not as dangerous as it sounds, but you will run into a surprising number of puzzles. We recommend trimming the fingernails before play to avert possible scalp damage. If you enjoy classic 2-D graphical adventures, we suggest you give this demo version of SSV a try. To play the full version on your Android device, please visit its page on Google Play. We also maintain a page of helpful information about operating SSV on mobile devices. Want to download free desktop games for the whole family? Please click or tap this bar to visit our classic site! 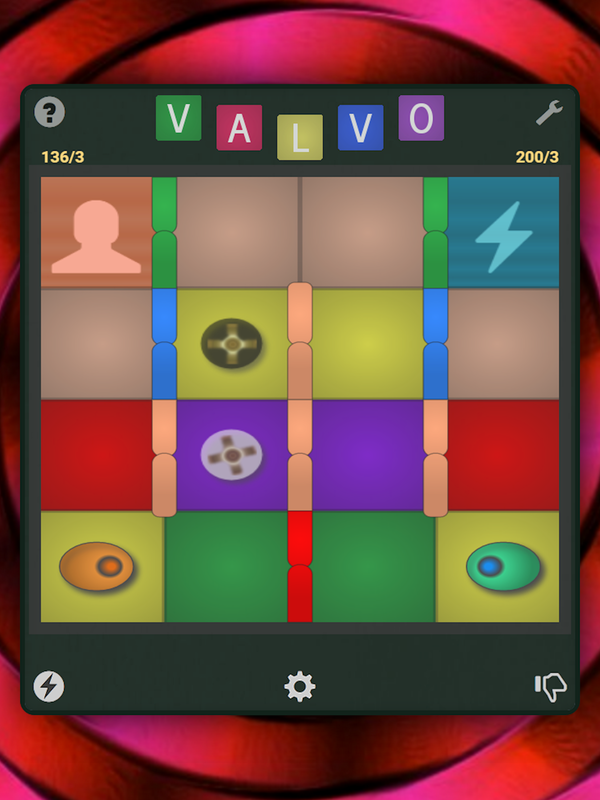 Valvo is considered by trusted experts (in other fields, and while under significant duress) to be the world’s foremost 2-player strategy game. Believed for millennia to be a creation of the gods, it is now known that Valvo was written by Nick Sullivan. Like backgammon, Valvo is a game of skill in which the set of available moves on each turn is determined by chance. Valvo is much simpler even than backgammon, however, and you will be playing in no time. Use Valvo to get your mind off work for a few minutes, or settle down with it for a real mental work-out at a tougher AI setting. At any level, Valvo is a relaxing pastime with no built-in time pressures. If you enjoy this game, you probably also enjoy strategy games like chess or logic puzzles like sudoku. To play a version of Valvo with additional options on your Android device, please visit its page on Google Play. Keep scrolling down for more games! Here’s a great way to sharpen up or show off your vocabulary and verbal skills! 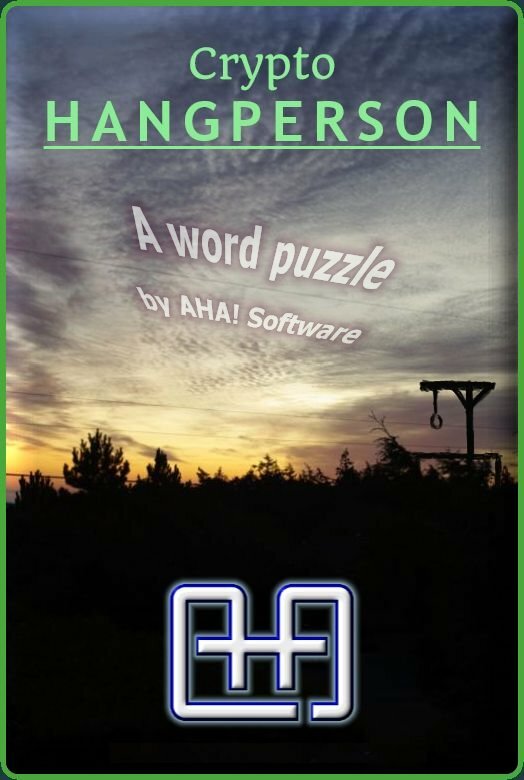 Crypto Hangperson, a sophisticated new scion of the Hangman family, brings a cryptic twist, inspired by classic British crossword puzzles, to the venerable game. Our local hangperson has 50 words to taunt you with, and for each one he or she provides a clue that is almost sure not to take you straight to the solution. You will need to solve the riddle of the clue — or be lucky — to avoid the noose. Knowing a lot of words, and how to spell them, may also be of help. Guessing 8 incorrect letters in a round is a capital offence, and you will be hanged every time you do it. If you enjoy this game, you are probably a word gamer with a yen for a challenge. If you would like to play a larger (200+ words) version of Crypto Hangperson on your Android device, please visit its page on Google Play. Web site and software copyright © 1995-2017 AHA! Software Inc.